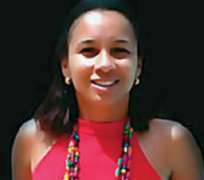 FORMER beauty queen, Ibinabo Fiberesima, has filed an appeal against the judgment of a Lagos High Court, which sentenced her to five years imprisonment for dangerous driving that led to the death of Dr. Suraj Giwa. Fiberesima had through her lawyer, Kemasuode Wodu, filed the appeal at the Court of Appeal in Lagos. The convict is also asking the Lagos High Court to put on hold its judgment, pending the determination of her appeal. In a Motion on Notice dated February 24 and brought pursuant to section 6 (6) of the 1999 Constitution, the convict further urged the court in the alternative to admit her to bail, pending the determination of the appeal. The motion on notice was supported by a 35-pragraph affidavit deposed to by one Olufemi Salawu, a businessman. Delivering judgment in an appeal brought by the Lagos State Government on February 20, Justice Deborah Oluwayemi set aside the judgment of an Igbosere Magistrate's Court which gave an option of N100, 000 fine to Fiberesima for manslaughter and sentenced her to five years imprisonment. But the convict was dissatisfied with the verdict and consequently filed an appeal, seeking for a stay execution of the judgment, pending the final determination of the appeal. In her grounds of appeal, the appellant argued that the trial judge erred in law and acted without jurisdiction when she interfered with the exercise of discretion by setting aside the order of the trial magistrate that imposed an option of fine. The appellant further claimed that the imposition of the said fine by the trial magistrate was discretional. She also argued that the Lagos High Court lacked the jurisdiction or competence to substitute its view for that of the trial magistrate in respect of the option of fine. Justice Oluwayemi had fixed March 19 for the hearing of the application for stay of execution. The Lagos State Attorney-General and Commissioner for Justice, Mr Olasupo Shasore (SAN) had in his notice of appeal before the High Court, faulted the sentence passed by Magistrate I O Isaacs on the grounds that the magistrate wrongfully exercised his discretion to impose N100, 000 fine in a matter that attracts seven years imprisonment without an option of fine. He maintained that the magistrate did not have the discretion to give an option of fine since the written law had specifically provided that only a term of imprisonment was a commensurate punishment for taking the life of a human being through dangerous driving. The Lagos AG also urged the court to hold that the exercise of discretion by the trial magistrate was a capricious and arbitrary exercise of discretion.